You don’t have to buy new to get an SUV you and your family will love. Dakota Chrysler Center has one of the most impressive selections of used cars near Breckenridge and West Fargo. Currently, we have 1 used SUVs under $15,000 in stock. Whether you’re shopping for a fuel-efficient compact crossover or a seven-passenger family hauler, you’ll get all the benefits of an SUV for a reasonable price. Explore our used SUVs for sale below! If you see one that’s perfect for towing or family trips to the Richland County Historical Museum, schedule a test drive in Wahpeton, ND! New vehicle pricing includes all offers and incentives. Tax, Title and Tags not included in vehicle prices shown and must be paid by the purchaser. While great effort is made to ensure the accuracy of the information on this site, errors do occur so please verify information with a customer service rep. This is easily done by calling us at (701) 403-8016 or by visiting us at the dealership. Why Shop Used SUVs Under $15,000 at Dakota Chrysler Center? We’re always updating and expanding our used inventory! In addition to a wide selection, we offer a revolving door of pre-owned vehicle specials. Need something with a price tag lower than $15,000? Check out our inventory of used cars under $10,000! No matter the car you choose, you’ll enjoy access to expert auto care from our service department near Fargo. We service Chrysler, Dodge, Jeep, and Ram, as well as other top brands. 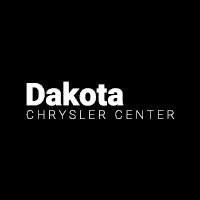 Dakota Chrysler Center	45.996841, -96.6594332.